Cumulus Support • Is this a heatburst? Re: Is this a heatburst? I saw similar last night but just before midnight. It is just a small rise in the wind speed leading to an increase in mixing of the air near the ground, which leads to warm air just above the surface being mixed downwards and causing a small temperature rise. It is quite common on nights with light (but not calm) winds. 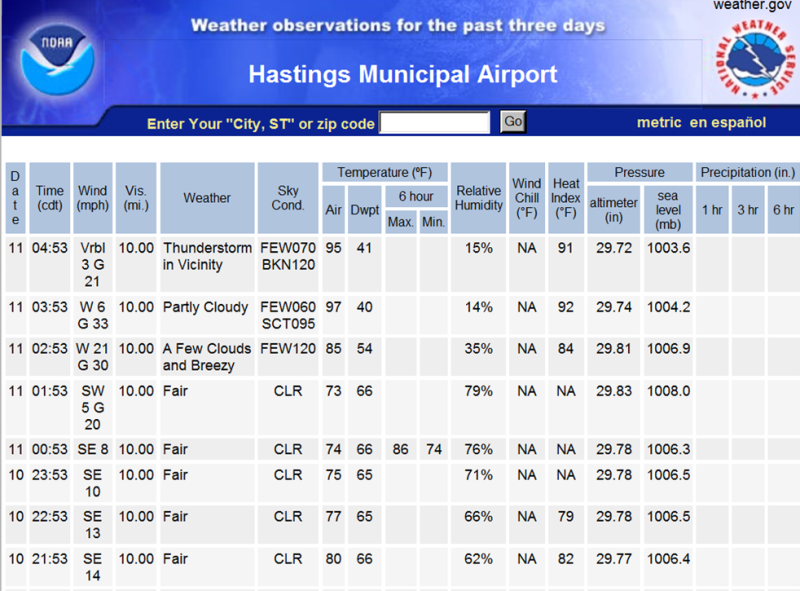 Note the over 20F temperature rise - as well as the drastic decrease in humidity.